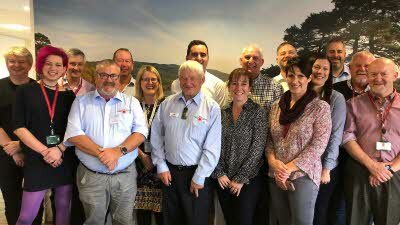 The Caravan and Motorhome Club recently welcomed six members of the New Zealand Motor Caravan Association’s senior leadership team in order to showcase its operations and share ideas. The two organisations are planning to collaborate further in order to benefit them both. The delegation from New Zealand, which included the Association’s CEO Bruce Lochore and President Bruce Stanger, visited the Club’s head office in East Grinstead and its sites near Alderstead Heath, Brighton, Gatwick and Uckfield. The Caravan and Motorhome Club’s Director General Nick Lomas and 12 senior representatives from across the organisation shared their experiences and learnings with the Association members and enjoyed finding out more about theirs. Nick Lomas, Director General of the Caravan and Motorhome Club said: “We were delighted to welcome delegates from the New Zealand Motor Caravan Association and show them some of our sites. We discussed everything from operations and management to our culture and values, and I think I speak for both sides when I say we all learned so much from the experience. We look forward to working with the association more in the future and believe that our collaboration will benefit all our valued members”.